Mission: Impossible-Rogue Nation has been a tremendous success for Tom Cruise at the box office grossing $46.1 million from 62 territories to bring its international tally to $235.3 million and its worldwide gross to $373.4 million. 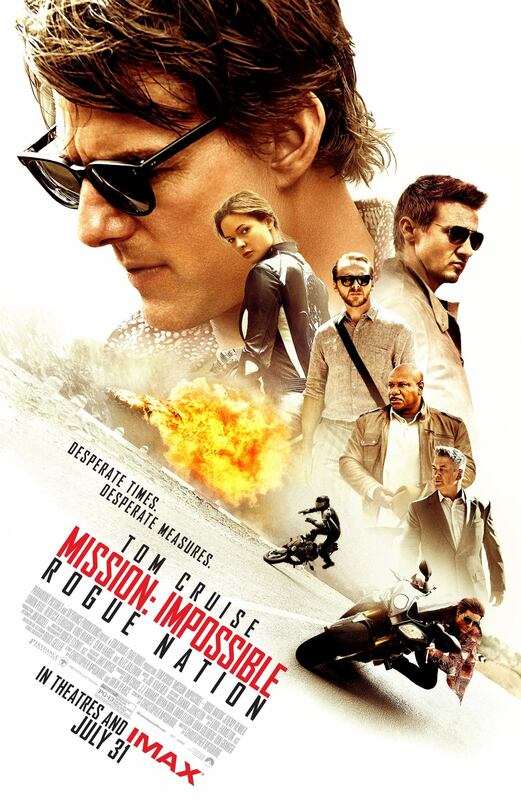 The fifth film in the franchise has catapulted 53-year-old Cruise back into the top spot; in fact Mission: Impossible -Rogue Nation is his biggest film opening weekend in a number of years earning over $150M in its first week of release worldwide. Apart from starring in the Paramount Pictures film, he also produced the action romp, which was directed by Christopher McQuarrie. Cruise is supported in this film with a great cast: Simon Pegg, Jeremy Renner and Alec Baldwin. In this instalment, the IMF are disbanded and Ethan Hunt and his team, alongside disavowed British agent (Rebecca Ferguson) try to eradicate a network of skilled agents – The Syndicate. Beautiful locations spanning from Vienna to Morocco and London are visually enticing for the viewer but it is the edge of the seat stunts which really captivate the audience. The film has a breath-taking car/motorbike chase sequence, a tantalising underwater sequence (Cruise took free diving classes for this scene) and the opening scene was the well-publicised plane stunt which Cruise undertook himself as the plane soared 5,000 feet in the air. These near impossible stunts, which are completed by Cruise, make the franchise so popular and distinguishes this action film from others. It seems that the star power of Cruise has won audiences over again. Leading up to the release, Cruise went on a marketing mission ensuring that the 19-year-old franchise was to the fore during blockbuster season. This film marks Cruise’s return to form, clearly demonstrating that Hunt is one of his signature characters. It seems the missions will continue as Cruise quipped recently to The Daily Show that he’s already looking forward to Mission: Impossible 6. Five Mission Impossible fun facts! Tom Cruise and Ving Rhames are the only actors to appear in all five films. A different director worked on each film. This is the second time a Mission Impossible and James Bond film are released in the same year. The idea for the primary antagonists in Rogue Nation was teased at the end of Ghost Protocol when Hunt is told about a new mission involving an organisation called The Syndicate. 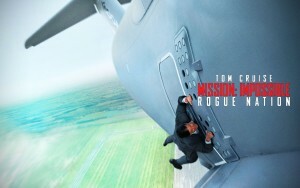 After Star Trek, Mission Impossible is the most successful film franchise to be developed from a TV series.